OMONI means "Mother" in Korean. While growing up, my Omoni offered her family fresh, wholesome, and satisfying foods to nurture the body, as well as the soul. She was bold, adventurous, and passionate, much like the food she cooked. Anybody who sat at her kitchen table left with a full belly and a smile on their face, always eager to return. With OMONI, I want to share these bold, adventurous, and fresh flavors of my childhood and pass on to others what my mother shared with her family. It is more than just food. It is powerful and full of heart. OMONI uses fresh, locally sourced meats and produce, and is made fresh daily for your enjoyment. Select from rice, noodle or salad bowls topped with freshly grilled meats, egg, tofu, as well as seasoned vegetable toppings. 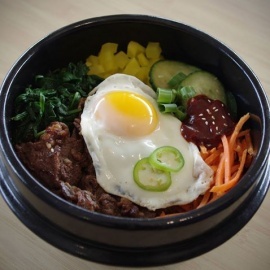 Additionally, traditional dishes such as bibimbap, bulgogi, kalbi, chap chae, and kimchi will be offered. OMONI gives you the choice to customize your dish. Vegetarian? Meat-lover? Low-carb? Half-size? Mild or spicy? Dine-in or carry-out? The choice is yours! Ready for something new, fresh, and exciting? 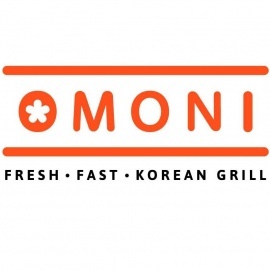 Give OMONI Fresh Fast Korean Grill a try!